In the past few months, Little E has had the chance to review quite a few of the Num Noms products. 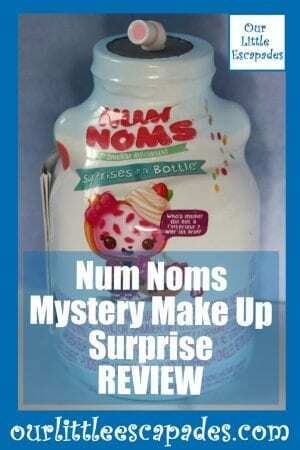 This month she has been sent the Num Noms Mystery Make Up Surprise to review. What Are The Num Noms Mystery Make Up Surprise? 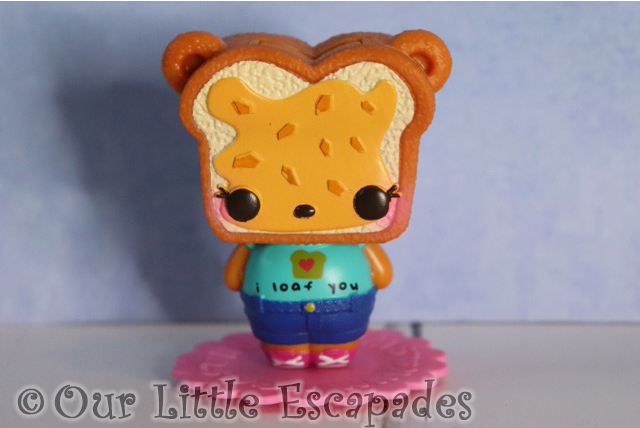 Inside each Num Noms Mystery Make Up Surprise, you will find a new yummy character. 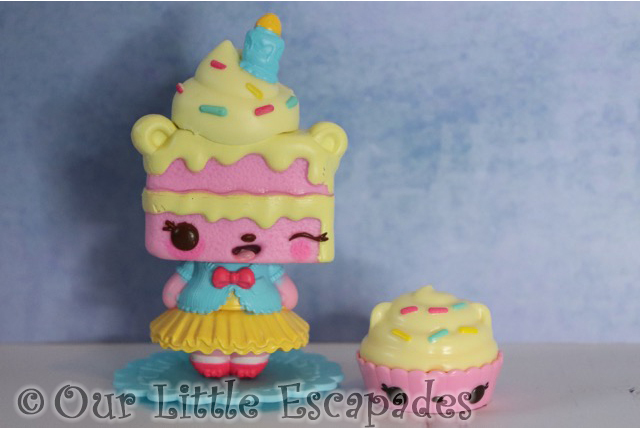 The yummy characters contain a makeup surprise inside! You will either find nail polish, shimmer, body spray or body lotion. In true Num Noms style, they are all scented. 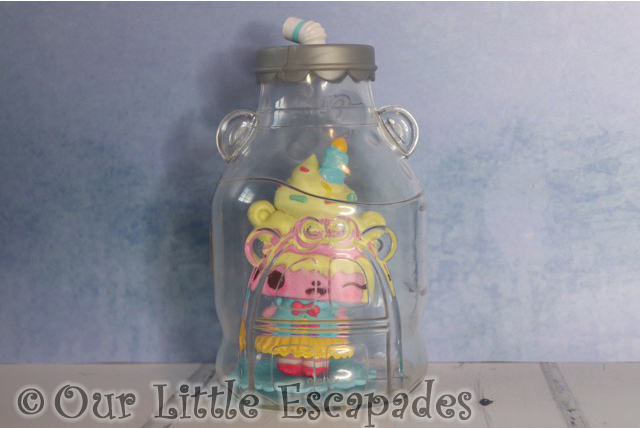 The bottle container is reusable and doubles as a house playset for your yummy character. 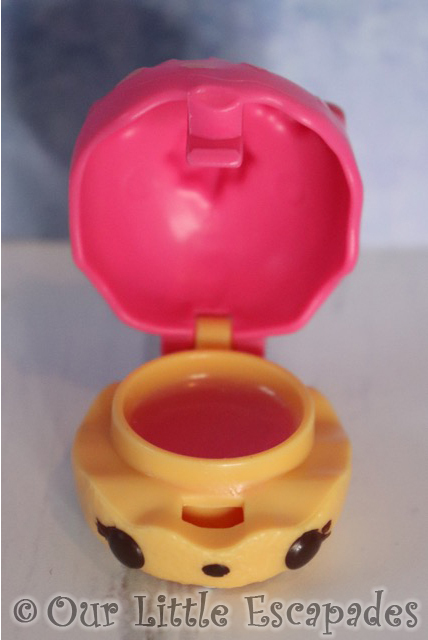 Each character also comes with a ‘Nom’ lip gloss. What Will You Find Inside Each Bottle? 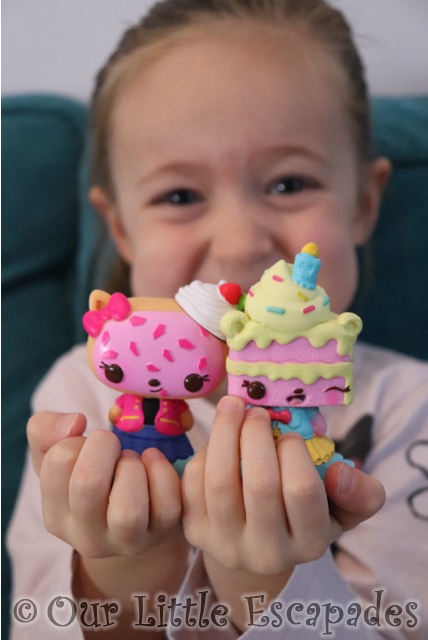 Who Did We Find Inside Our Num Noms Mystery Make Up Surprises? Little E was sent three bottles to open. She was very lucky as she had three different surprises in her bottles. Below are the yummy characters she found insides. 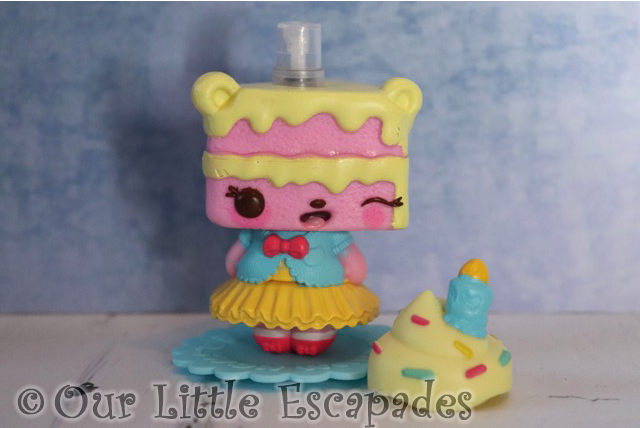 The character Yummy Sweetcakes contains a scented body spray. 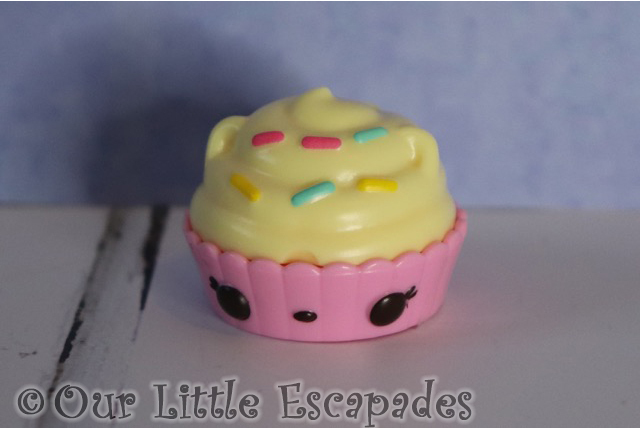 She is available in two scents cupcake or vanilla. 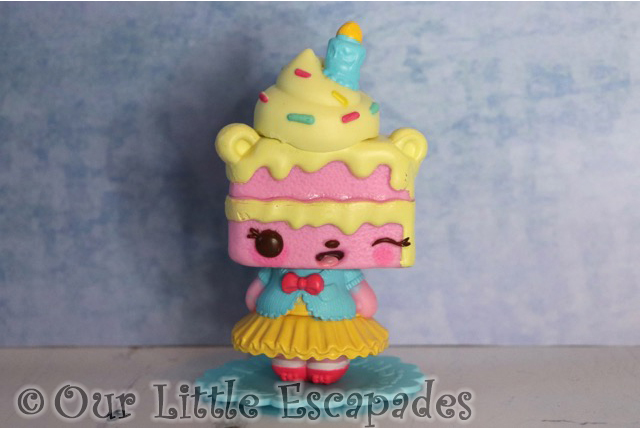 To use the body spray you just need to pull off Yummy Sweetcakes hat. Candy Cakes is the Lip Gloss Nom she comes with. 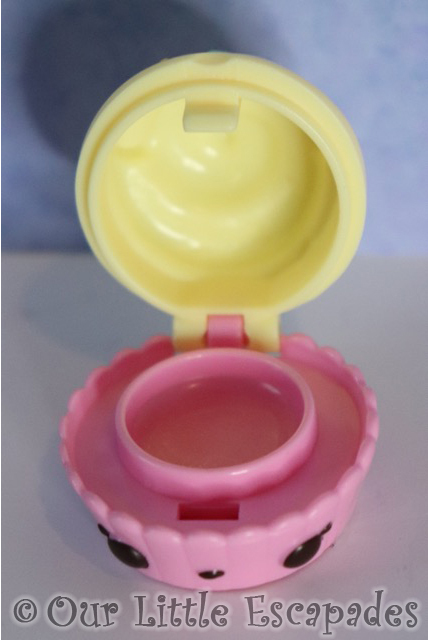 Candy Cakes is ice cream scented. 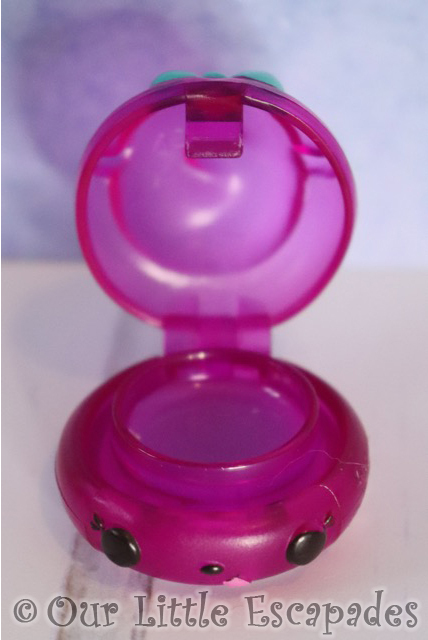 The character Yummy P.B contains a scented shimmer. He is available in two scents marshmallow or vanilla. To use the shimmer you just have to lift up Yummy P’B’s face. 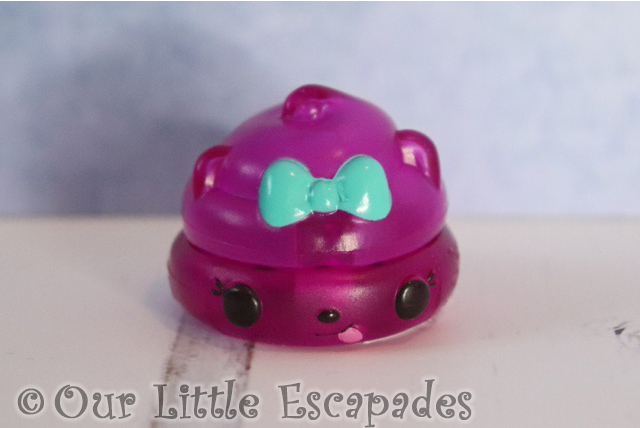 Grizzly Grape is the Lip Gloss Nom he comes with. Grizzly Grape is grape scented. 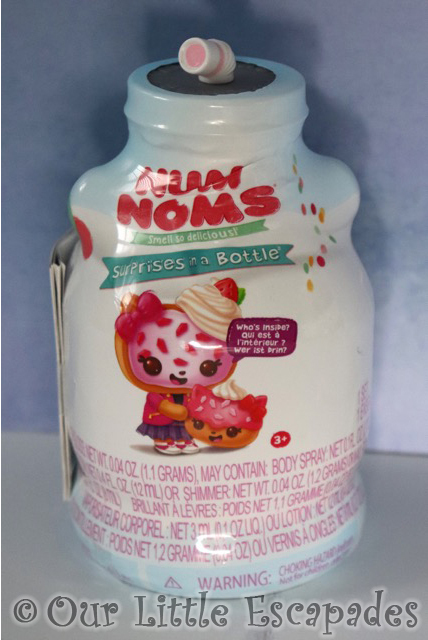 The character Yummy Creamie contains a scented lotion. She is available in two scents strawberry or ice cream. To use the lotion you just have to unscrew Yummy Creamie’s hat. Shortcake Kitty is the Lip Gloss Nom she comes with. 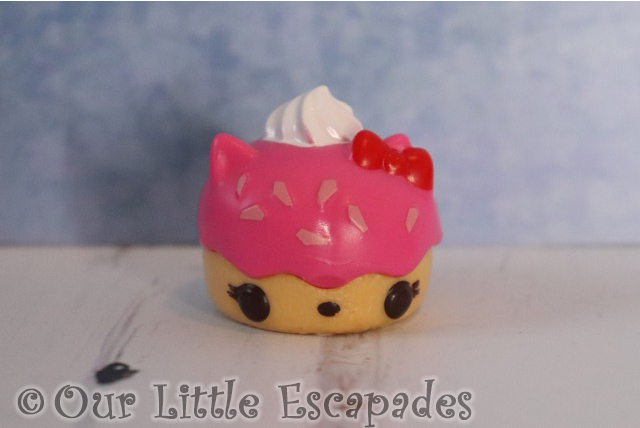 Shortcake Kitty is shortcake scented. 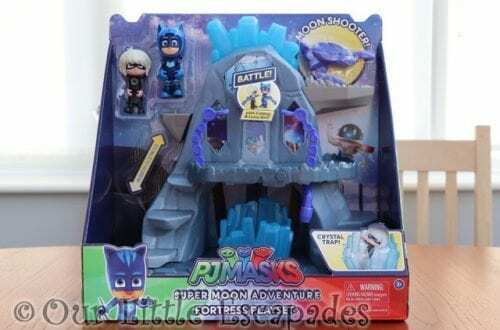 Our unboxing video is below. 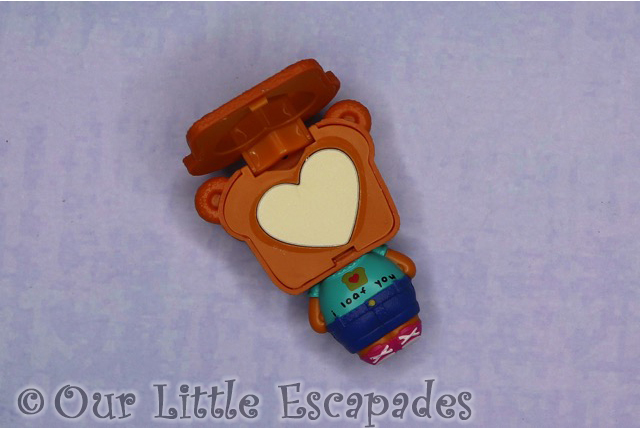 What Did Little E Love About The Num Noms Mystery Make Up Surprise? 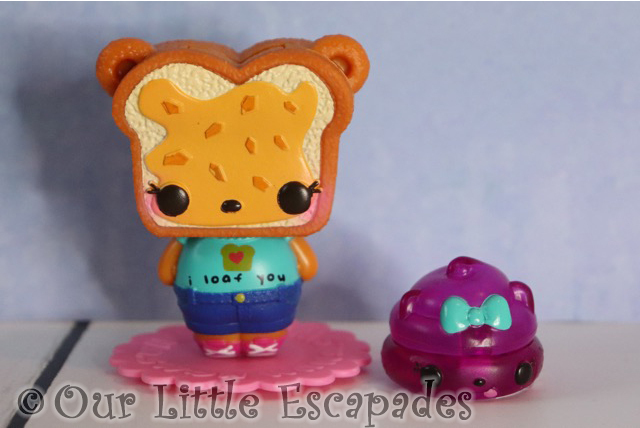 Little E loves the yummy characters included in this series of Num Noms collectibles. She was able to connect with them more and happily, plays with them. She didn’t really use the make-up side of things as she isn’t really into that yet but I happily tested the lotion and body spray. She does love nail varnish though and I think my nails would have been painted if one of her yummy characters contained it. 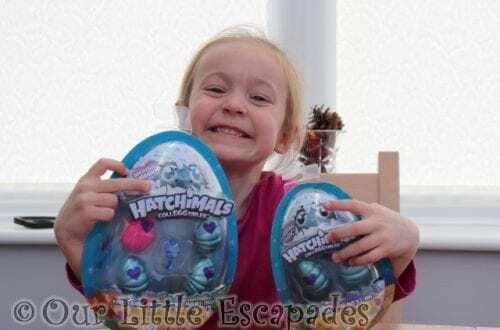 Little E also loves that the yummy characters come with their own little home. The bottles they come in also double up as a little house for them. Giving these Num Noms a small world play element. 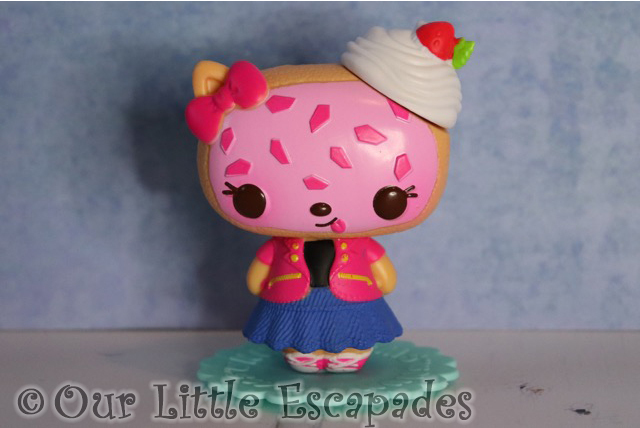 What Do I Love About The Num Noms Mystery Make Up Surprise? 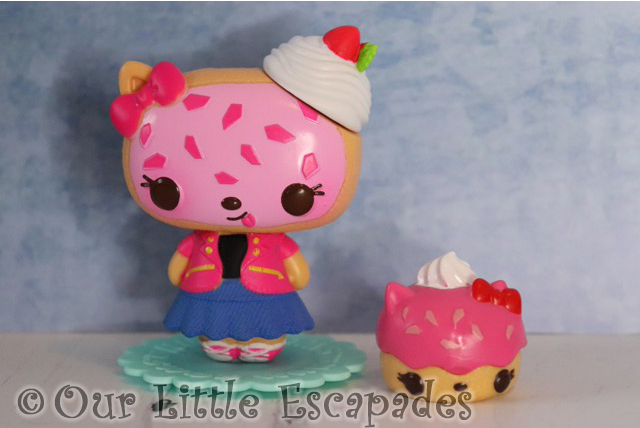 I think these are some of the best collectible Num Noms so far. I love the yummy characters. The addition of the stand is great as this means you can easily display the yummy characters in your collection. I also love that the bottle they come in also doubles up as a play element. This meant less items to throw away when the surprise was revealed. The Mystery Make Up Surprise have a RRP £9.99 for each bottle. 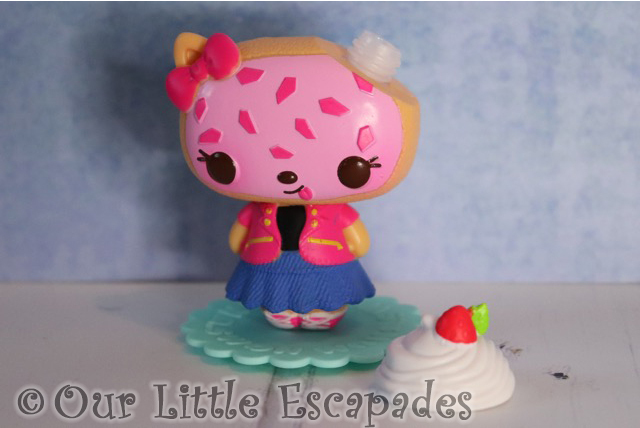 DISCLOSURE – We were gifted three Num Noms Mystery Make Up Surprises for the purposes of this post and to create our YouTube video. We always give our honest opinions, findings, beliefs and experiences of the products. *This post contains affiliate links. As an Amazon Associate I earn from qualifying purchases.